Solidarity Action: Unisex Solidarity with Afrin Antifa Enternasyonal (Antifa International) T-Shirt in sizes S, M, L, XL, XXL and XXL. All profits of this t-shirt will be donated to Heyva Sor. These t-shirts are also available as wome design and as long sleeve shirt. INTERNATIONAL AID CAMPAIGN FOR EFRÎN (AFRIN) ! Refugees and residents in the Efrîn district of North Syria are trapped under fire and bombing by the Turkish military without any protection or proper medical supplies – Heyva Sor a Kurdistanê is raising funds to help them. The Kurdish region of Efrîn of North Syria has been under heavy attack from the Turkish army and affiliated jihadist gangs since 20th January 2018. Almost 200 civilians have been killed already, and many hundreds severely wounded (as reported on 10th Feb 2018) – with about half of those killed being people who had already fled their homes in Syria, as refugee camps are also being attacked. We are calling for safe access for humanitarian relief as the co-chair of the Health Council in Efrîn province and our local aid Heyva Sor a Kurdistanê workers are reporting that civilians there are suffering from daily attacks. Efrîn was one of Syria’s most stable and secure regions, such that the pre-war population of 500 thousand (in 2011) increased to about one million with the arrival of internally displaced people (IDPs) escaping war zones in Syria. People trapped in Efrîn are feeling abandoned and helpless: one father of five children said: “I feel I am of no value. No-one is coming to help us. I didn’t realize our lives were so cheap” . Heyva Sor a Kurdistanê has a base in North Syria and is able to obtain food, medical and other survival supplies from North Iraq and some regions in Syria to take them to Efrîn. We are calling out to the internationally community to make financial donations as any material donations can’t be delivered from Europe due to the blockade at the boarder with Turkey. Heyva Sor a Kurdistanê also calls to the international community to call on the Turkish state to cease its attacks on the people of Efrîn, who have already suffered for years in the war, and for the blockage to be lifted so charities can help the civilians in need of urgent assistance. Kurdish Movement: German police raid #Mesopotamia Publishing House in #Neuss – Enough is Enough! Police Authorities Banned Kurdish #Newroz Demo in #Hannover, #Germany – Enough is Enough! If #Afrin falls … it will have been too late! – Enough is Enough! Asya Abdullah calls for urgent action for #Afrin – Calls for Demos in #Germany today – Enough is Enough! #DefendAfrin: Urgent call for mobilization – Enough is Enough! #YPG International: The Game is now on. And the battle ground is the entire world now – Enough is Enough! #YPG Statement: A great thanks to all the people of Europe who took to the streets in protest of the ongoing Turkish attacks on #Afrin – Enough is Enough! No extradition for Saleh Moslim! – A statement by Czech Anarchist Black Cross – Enough is Enough! #Afrin: Heyva Sor Attacked by Turkish Air Force – Enough is Enough! Autonomous Center in #Wuppertal #Germany in Solidarity with #Afrin – Enough is Enough! #Fight4Afrin: Now or never – resistance is live – Enough is Enough! #BreakSilenceOnAfrin #Afrin administration: The war has moved to another stage – Enough is Enough! #YPJ Statement on the martyrdom of Ş. Hêlîn Qereçox (Anna Campbell) – Enough is Enough! #BreakSilenceOnAfrin Statement of Kurdish refugees starting a hunger strike. – Enough is Enough! Belgrade, #Serbia: #Fight4Afrin – From #Belgrade to #Afrin NO PASARAN! (Video) – Enough is Enough! #Rojava: Pîroz be #Newroz! Happy #Newroz! 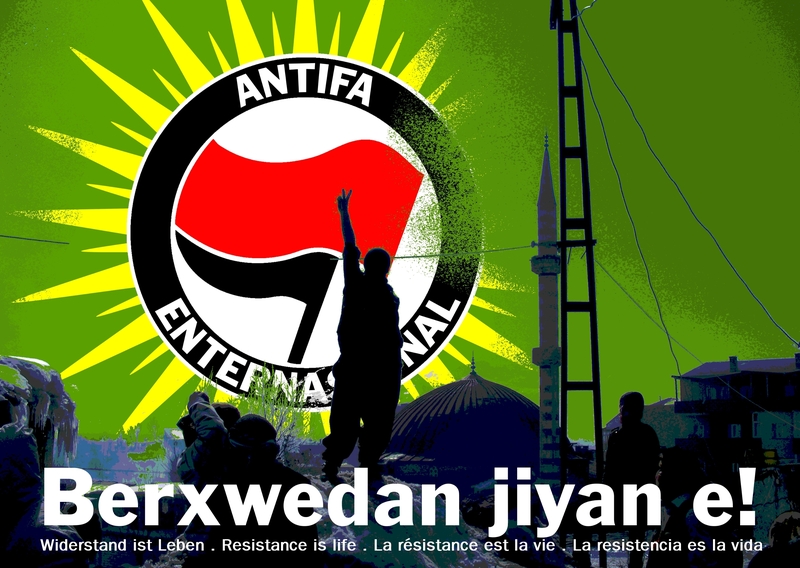 – Greeting message from the Internationalist Commune – Enough is Enough! Report: #Ljubljana, #Slovenia – Solidarity demonstration to #StopAfrinGenocide – Enough is Enough! “Let’s meet in #Brussels against Turkey and #NATO on March 27″ – Enough is Enough! Video & report: 500 people marched through #Dortmund on #Newroz – Enough is Enough! #Vienna: Angry spontaneous demonstration for #Afrin as a contribution for the International Solidarity Day on 24th of March – Enough is Enough! #Afrin: The fire of Kawa’s will burn, the struggle against Dehaqs will keep on – Enough is Enough! #Philly: Rally to Suport #Rojava, Stop Turkey’s Attacks! – Enough is Enough! Solidarity Memorial for Anna Campbell in Olympia, WA – Enough is Enough! Germany: Cops raided kurdish NAV-DEM association in Hannover – Enough is Enough!